I guess it has been close to 2 years ago now when my mom was diagnosed with cancer. I hate cancer and I wanted to do something to help fight back. That is when I found the IBM World Community Grid. It is basically a place where people can donate unused or idle CPU power to distributed computing research. 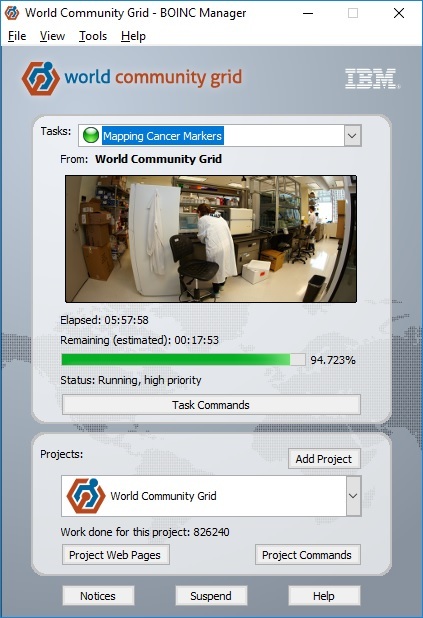 The World Community Grid always has a hand full of projects going on that people can donate CPU power too. The one I was most interested in was called “Mapping Cancer Markers“. You can contribute to all the projects or pick the projects you want to support. You make an account and picked the projects you are interested in on the web dashboard. Then download and install the client. 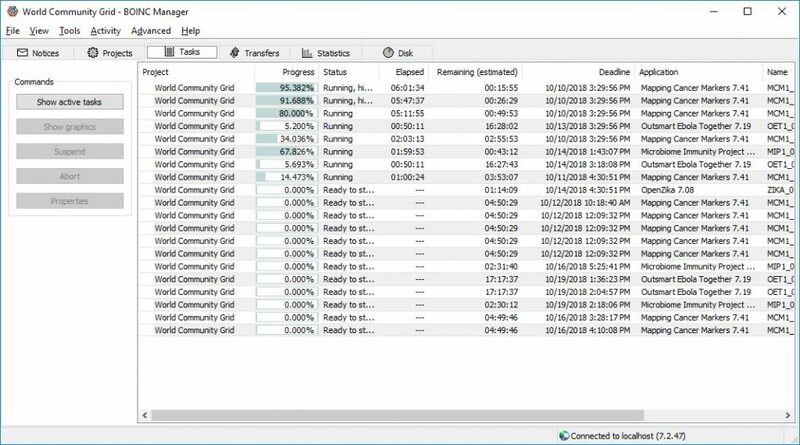 The client downloads chunks of work and starts processing them. When it is done with the work it sends it back to the World Community Grid and then downloads more. People all over the world can process these chunks of work. Because of this, a task that would normally take weeks or months to process on one computer can be done in hours or days instead. That is the power of the World Community Grid and distributed computing. 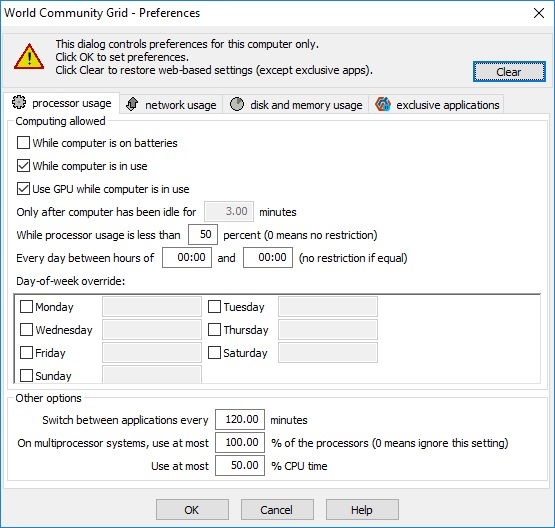 The program will run fine without you doing anything but you can go in and adjust how much of the CPU it can use. You can also enable GPU processing for work that can be done on the video card. I personally like turning on “Advanced View” under the view settings. It gives you more options to play with. While your CPU alone may not save the world it is possible everyone combined may be able to make it a better place! If you are interested in the World Community Grid then check it out on their website at https://www.worldcommunitygrid.org and read all about their research! This entry was posted in Life, Technology on October 10, 2018 by Zack.